As a top rated international freight shipping & container transportation company between Canada & the US, OCT is making intermodal container shipping easier than ever with our comprehensive network of ocean, air, rail and land transportation options. We cover Canada, U.S. and beyond to make fast, affordable shipping possible for our clients and their customers. Less Than Intermodal Container Shipping (LCL): When you have a smaller amount of goods to ship it can sometimes be more difficult and more expensive to ship them than larger amounts. However, OCT is committed to providing options to make LCL shipments a viable option for large and small companies. Our logistics experts will guide you through the best options to make your LCL possible. Full Intermodal Container Shipping (FCL): Need more space? We’ve got you covered. Our FCL containers can be filled with your products or equipment for maximum space. 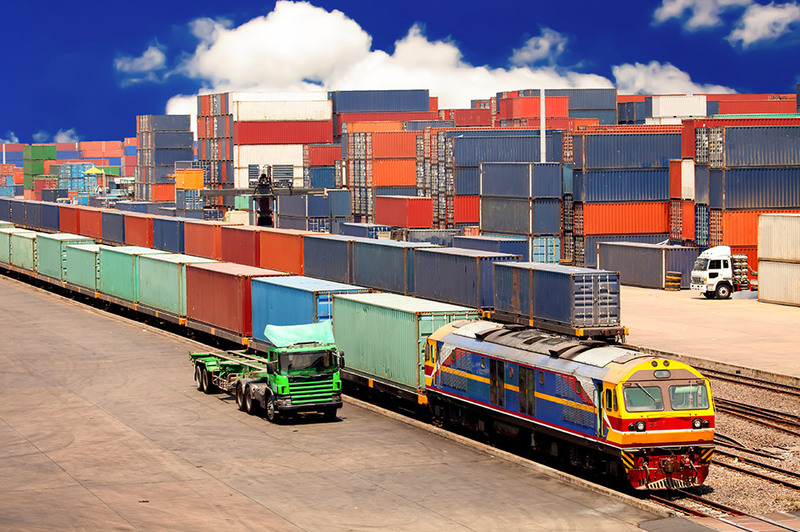 Shipping larger amounts often helps keep costs down per item as well when using intermodal transportation. Reefer Containers: Intermodal container shipping typically means a longer journey for your goods than other shipping types and temperature sensitive items can benefit from one of our reefer trucks. These specialty units are temperature controlled and can have up to three separate compartments with individual temperature controls. Ventilated Containers: Our ventilated containers offer protection from the elements while also providing airflow during intermodal transportation. These containers are especially good for fresh, perishable items that would be damaged by humidity in a closed area. OCT also has standard flatbeds and dry vans for all your intermodal transportation requirements. Contact us at 905-695-1501 to learn more and to get a free quote! See what options are best for your requirements. Let Us Streamline Your Storage And Distribution Process.